Grab your friends, charge your phone, and head out for a tasty and insta-worthy day trip. 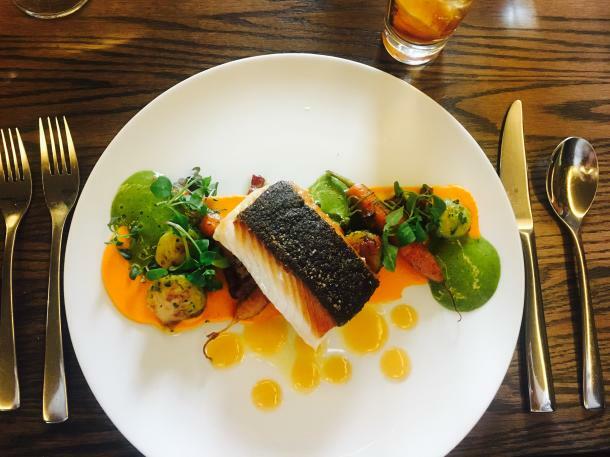 With Foodieism and eating local on the rise, step outside of your comfort zone and take a trip through Elgin and London to truly experience a sneak peak of what the region has to offer. Recently, I had the opportunity to go on a group tour, starting at The New New Age in Port Stanley. 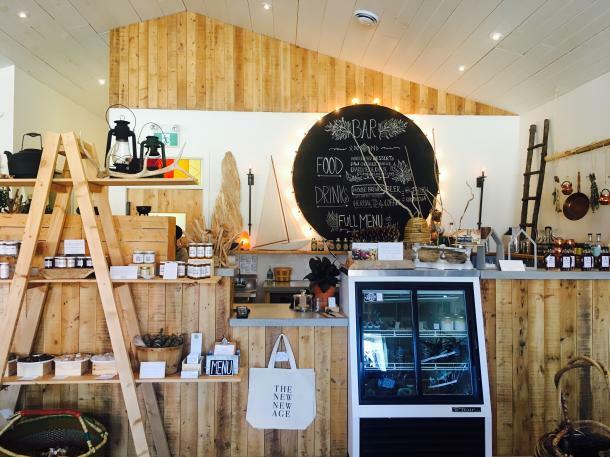 As soon as I walked into the shop, I was taken aback by the trendy decor - wood finishes with minimalist touches and twinkling lights. But, not only was the shop aesthetically pleasing, their product offerings were so unique and diverse that it&apos;s definitely worth the trip even during Port Stanley&apos;s quiet shoulder season. 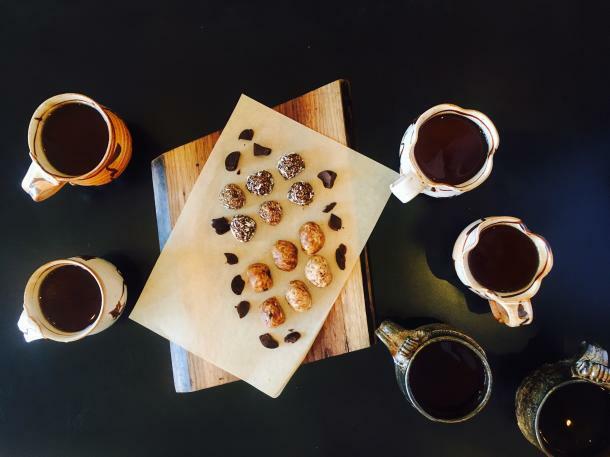 Next time you&apos;re looking for something different, visit Katie and Steve - and make sure to try their Chaga Coffee and vegan, cookie dough energy bites. They&apos;re to die for! 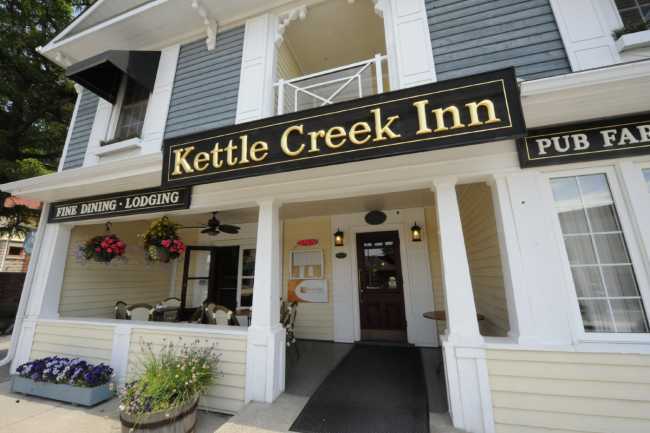 After doing a bit of tasting and shopping, we made our way across the street to the Kettle Creek Inn. Originally a summer home for the Justice of the Peace, the Kettle Creek Inn opened in 1849 and truly shows the charm of a historic building. 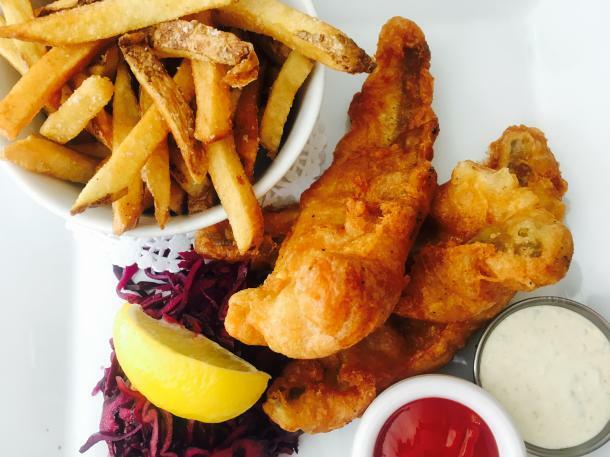 For lunch, I ordered their Pickerel and Chips. Since we were at the beach I knew I had to try their fish and I was right. With the perfect ratio of batter to fillet, the fish was moist and perfectly cooked. Served with crispy, salty fries, it was the perfect lunch for a sunny day. 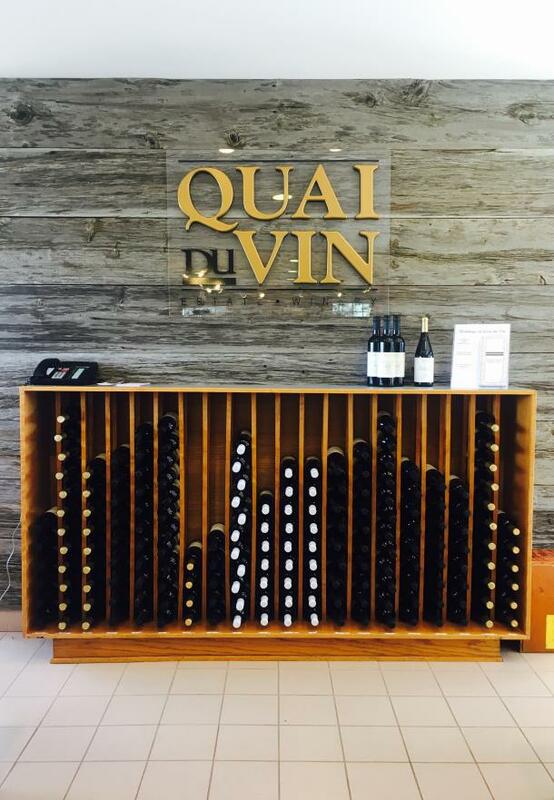 Our next stop was Quai du Vin, a winery in the rural parts of St. Thomas. As soon as we got out of the car, I could smell the sweet aromas of fresh wine. That paired with the peaceful landscape and I thought I was in heaven! In the middle of the rows of vines stands a giant stage that is used for their Summer Concert series (make sure to buy your tickets early because they sell out fast!) and an area that is often used to host weddings. I recommend trying their Aurore Muscat, as the Grape King himself says "it dances like pop rocks in your mouth." After our purchases, we took a quick little drive into the heart of St. Thomas, where we found Railway City Brewing Co. Our tour was in the heart of production time, so we had the opportunity to actually see the process at work and just how much work goes into making their delicious brews! 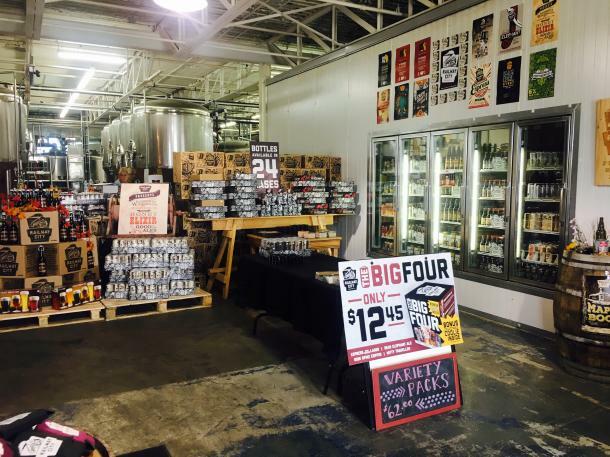 Started by a couple friends, their business has boomed and now Railway City is a major contender in the craft beer industry. Once everyone finished up their tastings, we headed north to London for our last stop before dinner - Jill&apos;s Table. Located right across from Covent Garden Market, Jill&apos;s table is a haven for foodies and offers everything a foodie would ever need or want. 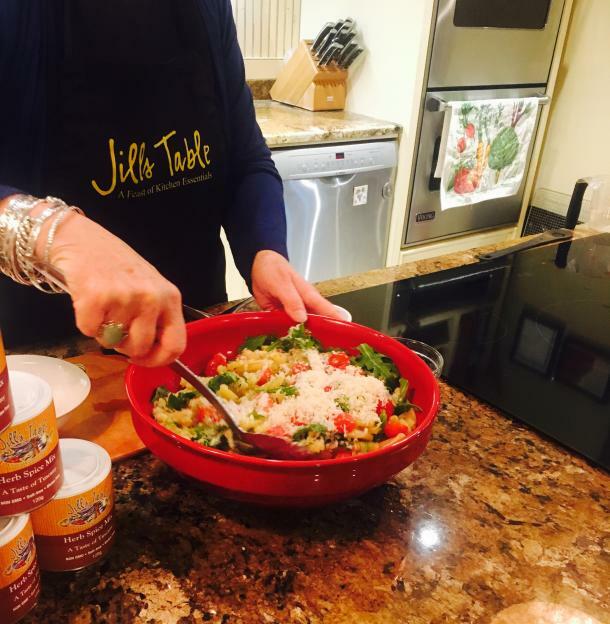 Working with locals and importing specialty goods, Jill&apos;s products are unique and won&apos;t be found anywhere else. We had a mini tour from Jill herself which lead to the heart of her store - her demonstration kitchen. Here is where they offer private and corporate classes ranging from whiskey and food pairings to vegetarian cooking. Before we ate too much, we bid Jill good-bye promising to return and head to our dinner reservation at Restaurant Ninety One in Windermere Manor. Newly renovated, Restaurant Ninety One is farm-to-table focused and offers traditional, delicious flavours using new techniques to make it fresh and interesting. We had a chance to meet Chef Angie who shared with us that the restaurant actually has their own beehives on the property! Once our food came out, I really didn&apos;t think about much else. I had the blackened cod and it was easily one of the most delicious meals I&apos;ve had -100% recommend! But don&apos;t just take my word for it, plan a day and take a day-trip - discover what the region has to offer. You won&apos;t regret it.